White or creamy tulips are less and less evident. Many red, red/yellow, yellow etc. which for me don’t have the same allure. Aren't we all?! You have definitely given them a dreamy look by including the reflection. @s4sayer I lusually ike the pop of the colorful tulips as they are usually blooming around the same time as daffodils. But the paler tulips are quite delicate looking. @hajeka Thank you . 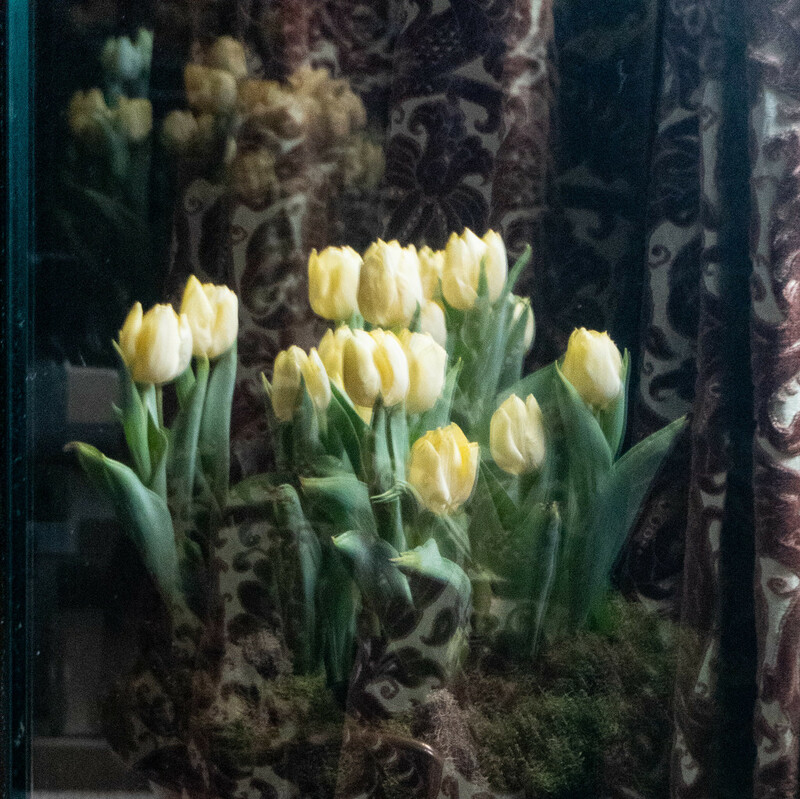 It's actually a reflection of a pot of tulips in a glass sided cabinet. @stevepo Thanks Steve. It's a reflection of a pot of tulips. @pyrrhula Thank you Ferry. It's actually a reflection of a pot of tulips. I cropped them out to give it this dreamy look.